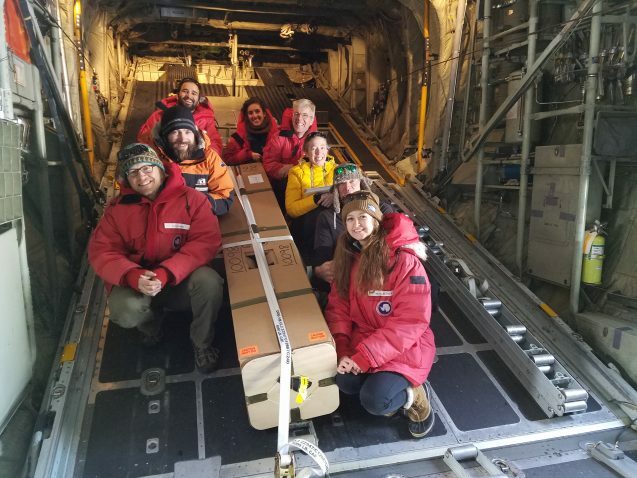 Lamont’s polar scientists are back in Antarctica on a mission to map the continent’s ice shelves, with a particular focus on the huge Ross Ice Shelf and the seafloor beneath it. Ice shelves like Ross reach out over the ocean from the massive ice sheet covering the continent, and researchers are exploring how changes in climate will affect them. 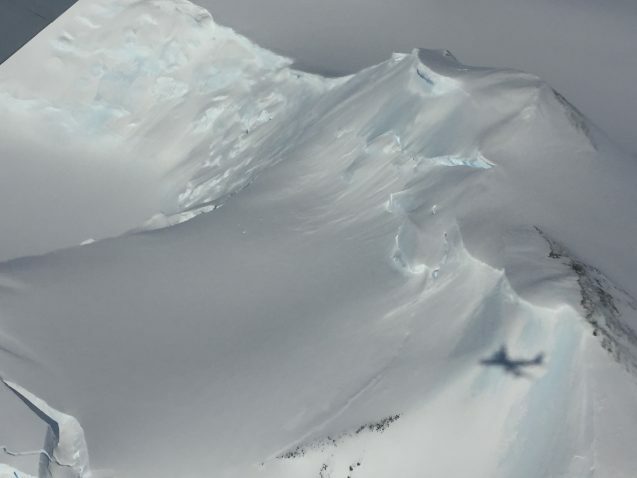 Flying over the ice and using remote sensing equipment, they will continue work done in previous years to help gauge the stability of Antarctica’s ice sheets. ROSETTA team gathered around the Alamo float as it is loaded on the plane for deployment in front of the Ross Ice Shelf. Voices are raised in celebratory cheers from the southernmost continent to across the U.S. The “bird” has flown! Our first ALAMO float is deployed! 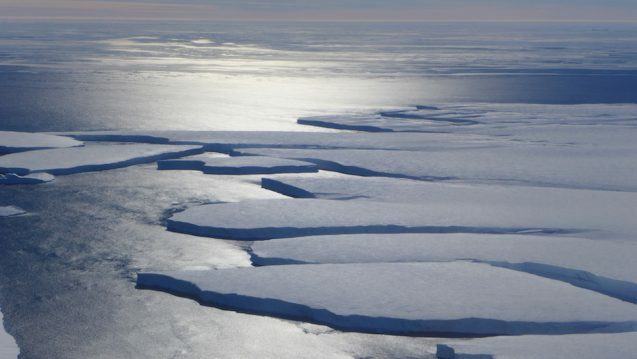 Now we can begin to answer some of the big questions on this mysterious ice/ocean interface: “How cold is the water in the Southern Ocean where it meets the Ross Ice Shelf? What is the salinity in that location? How deep is the water? And how do all these things change and how does it vary with time and location? 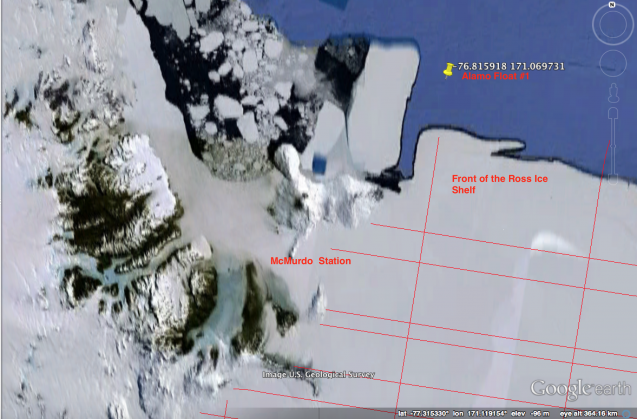 Location of the first Alamo float dropped from the LC130 for the ROSETTA Project is shown in front of the Ross Ice Shelf. This season the ROSETTA project will have our ALAMO (air-launched autonomous micro-observer) “bird” on location phoning home to answer our questions; and each question will spur more questions, probing us to better understand the ocean circulation in this dynamic region. This area of the earth’s oceans is not well sampled. Elsewhere in the world we have floats and instruments that bob up and down and follow the currents as they collect information on circulation and ocean measurements. However, around the Antarctic continent, we have large gaps in coverage. The seasonal sea ice interferes with the ships that are used to transport and deploy most floats, and the difficult conditions that face the floats once they are installed increases the difficulty in placing them in the Southern Ocean. Map of the distance to the four closest floats pointing out the lack of floats around the Antarctic Ocean. Five additional Alamo floats are planned to be launched in the coming days of the project. 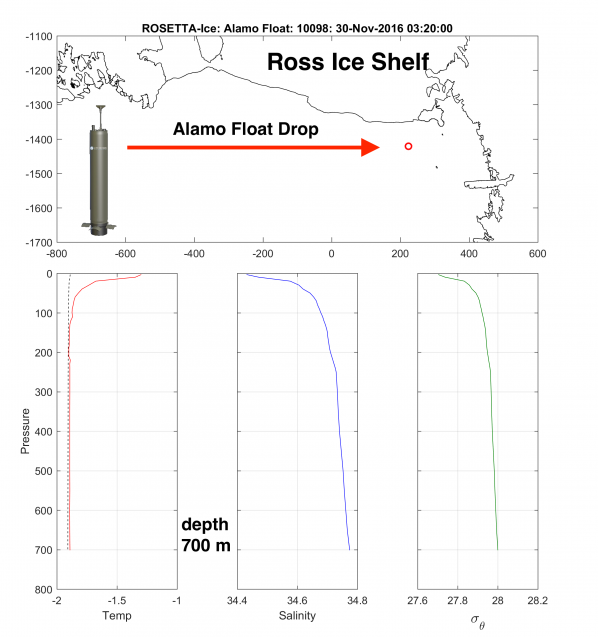 Once complete, a small armada of floats will be bobbing and moving in front of the Ross Ice Shelf, providing us critical information on this remote region. Because of the floating, diving and dropping involved in our ALAMO floats, we have named them for sea birds—snowy petrel, sooty shearwater, wandering albatross to name a few. Some of the floats will rest quietly on the bottom and bounce up every three to four days to collect and send home data, others will operate like our existing float, following ocean circulation and once a day collecting a full profile of data to send home. The trick is to locate them where they can tell us about water moving along the front of the ice shelf yet keep them from being tugged too close to the shelf front, where they might be damaged. The first set of data from our “sea bird” shows the surface water is much different than the water once you dive down in the water column. With the first transmission we saw that the ocean temperature dropped from -1.25 C at the surface to -1.9 C at a depth of 700 meters where it touched down, and that the salinity moved from 34.4 PSU to close to 34.8 PSU in that same depth profile. As the ALAMO moves, we hope to learn about how the circulation moves along the front of the ice shelf. Each additional instrument will tell us more, building our understanding of this remote area and significantly increasing our ability to model future ice movement in this region. Read more here about our ALAMO. ROSETTA is a multi-institutional project that brings together the scientists from geophysics, oceanography and geology to investigate the Ross embayment and the Ross Ice Shelf, the largest ice shelf in Antarctica. 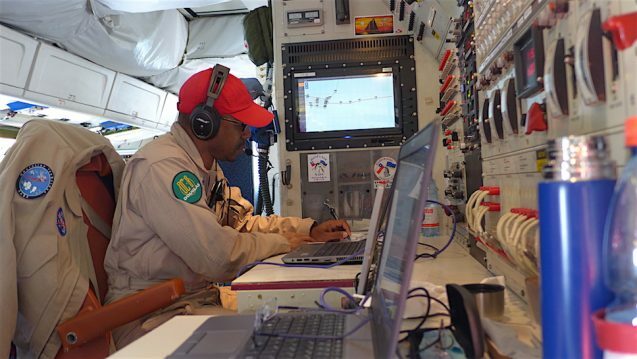 A large part of this project is operated from the air using LC130 transport aircraft and the IcePod instrument platform. To understand more about how this ice shelf fits into the larger ice surfaces of Antarctica, ROSETTA is collecting a dense grid of measurements over ice—shelf thickness, surface ice measurements, the shape of the ocean floor below the ice shelf and ocean circulation around and under the ice shelf. But for the ocean circulation data there was a need to switch from aircraft to buoys. The ROSETTA-Ice team consists of scientists from Lamont-Doherty, Scripps Institution of Oceanography, Colorado College, Earth and Space Research, and New Zealand’s GNS Science. 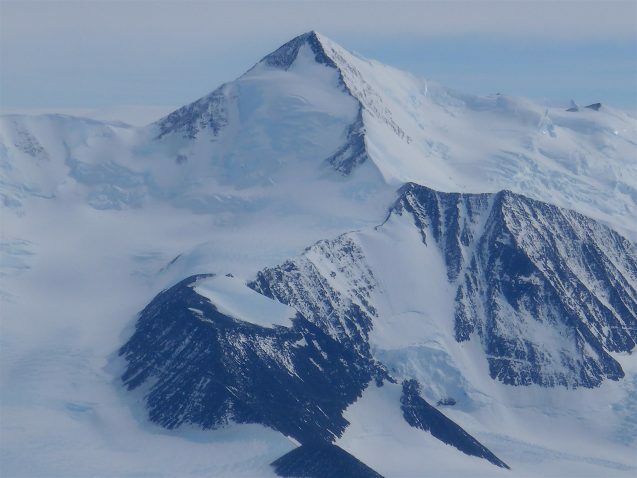 Funding for the larger project comes from National Science Foundation Antarctic Integrated System Science, and the George and Betty Moore Foundation. The ALAMO buoys were made possible with support from the Old York Foundation, Scripps, and a crowdfunding project. You can read about earlier seasons of ROSETTA here. 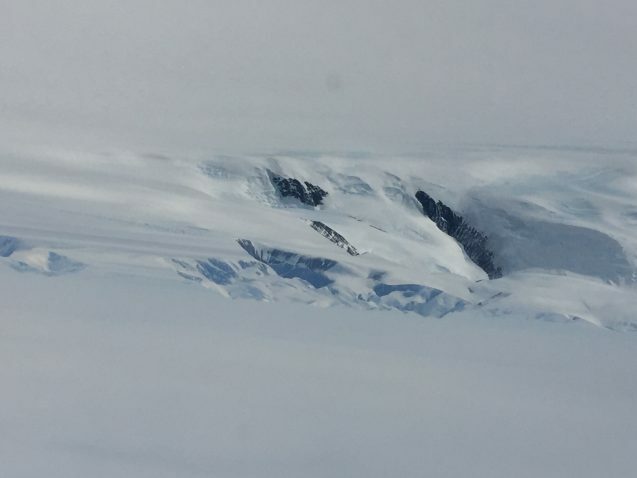 Today this thin extension of ice-covered mountains is the section of Antarctica most exposed to the warming ocean; the water literally surrounds the land, chafing against the ice where it spills from land into the ocean. 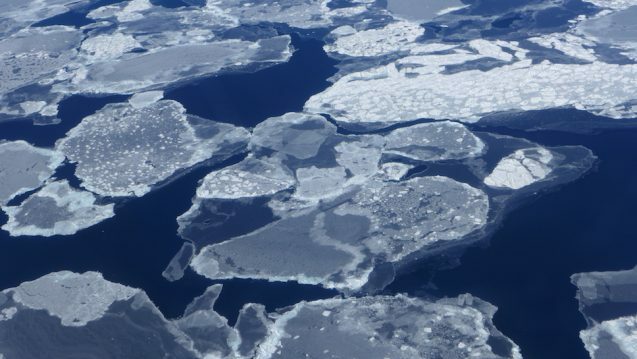 This contact between the peninsula ice and warming ocean water has resulted in a series of “ghost ice shelves,” and their loss is having a measurable effect on land ice loss. The topographic relief on the peninsula is breathtaking. 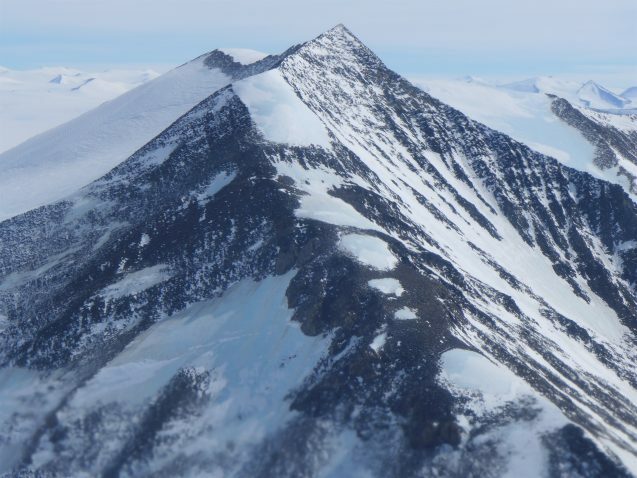 With mountains topping out at 7,000-8,000 feet, it offers a profound contrast to the flattened ice shelves and gentle sloping regions that carry ice in the areas we have surveyed around the Amundsen Embayment. 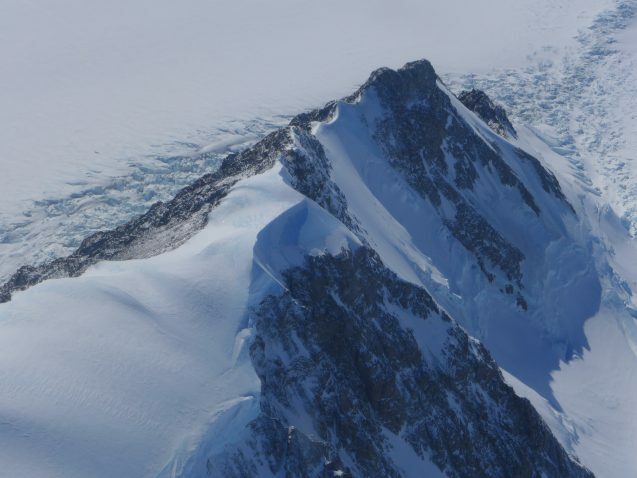 The ice mounds high on the tops of the peninsula peaks, in some regions burying them almost entirely, and in others the ice is sharply cut back on the exposed rock to show meters of stacked ice layers and sections of older blue ice peering out under the newer layers. Like other regions of Antarctica the ice is slowed in its descent from land to the ocean by the presence of ice shelves. But along the peninsula, these ice shelves have been undergoing change and loss over many years. Some, like Prince Gustav Ice Shelf, are already gone—”ghost shelves”—just a glaciologist’s footnote. Once the most northern ice shelf on Antarctica, Prince Gustav Ice Shelf was situated alongside Larsen A until it began a long decline and finally disappeared in the mid-1990s, the first of the peninsula ice shelves to be lost. 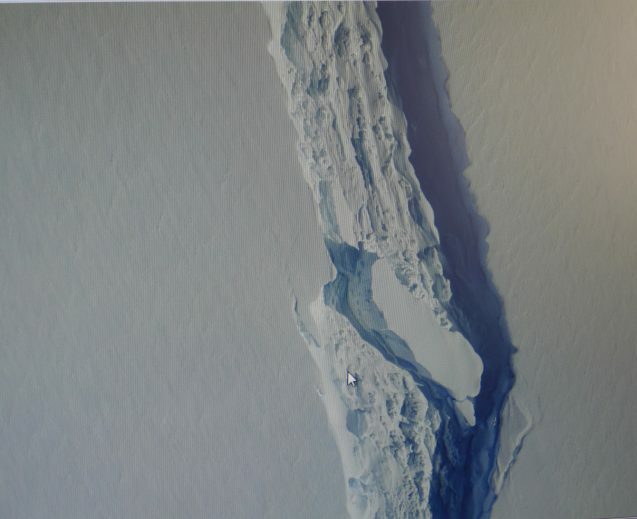 Others, while remaining attached to the shoreline, are significantly reduced from their earlier size, like Wordie Ice Shelf, a small portion of which remains resting along the western base of the peninsula, sitting just north of the rapidly thinning and retreating ice on the George VI Ice Shelf. 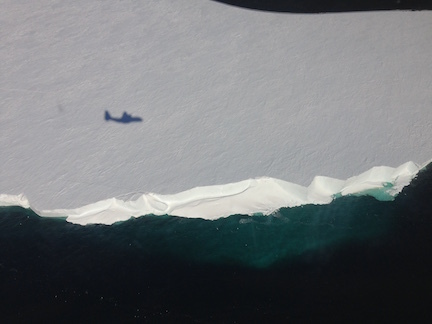 Surveying the Antarctic Peninsula and her ice shelves is a multi-flight mission for IceBridge. Over the course of approximately a half dozen missions, the instrument teams will survey along the edges from the southwestern end at Stange Ice Shelf up and around to the southeastern edge at the Larsen D ice shelf. 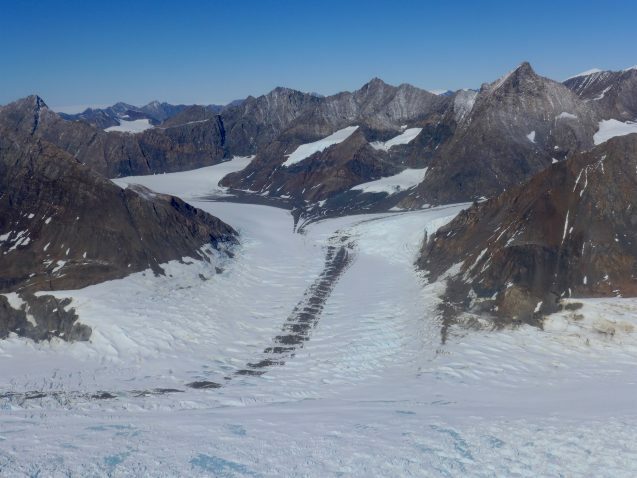 The peninsula center will also be covered, with a dense series of flight lines taking us between the towering peaks where the glacial terrain begins and ends with buffering ice shelves at sea level. Lamont’s role in the larger IceBridge project is the collection of gravity measurements. While the other instruments tell us details about the changes occurring now, such as loss of ice elevation and changes in ice thickness, the gravimeter is the only instrument we carry on board that can give us the critical information needed to build models of future change. Understanding the space that lies under the ice shelves, how ocean circulation patterns might direct warm water into that space, and how the cavity space is shaped where the ice goes afloat (the grounding line) is all crucial information for predicting the future stability of each ice shelf, and ultimately the ice on the Antarctic Peninsula. IceBridge: Since 2009, the NASA IceBridge project has brought together science teams to monitor and measure each of the ice features in order to improve our understanding of changes in the climate system and our models. Lamont-Doherty, under lead scientists Jim Cochran and Kirsty Tinto, has led up the gravity and magnetics measurements for these campaigns. You can read about earlier IceBridge expeditions to Antarctica and Greenland on State of the Planet, here and here. 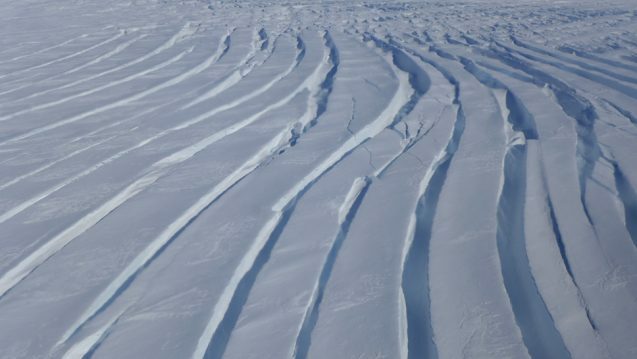 Ice shelves can behave like dominos. When they are lined up and the first one collapses it can cause a rippling effect like dominos. We have seen this with the Larsen ice shelves. 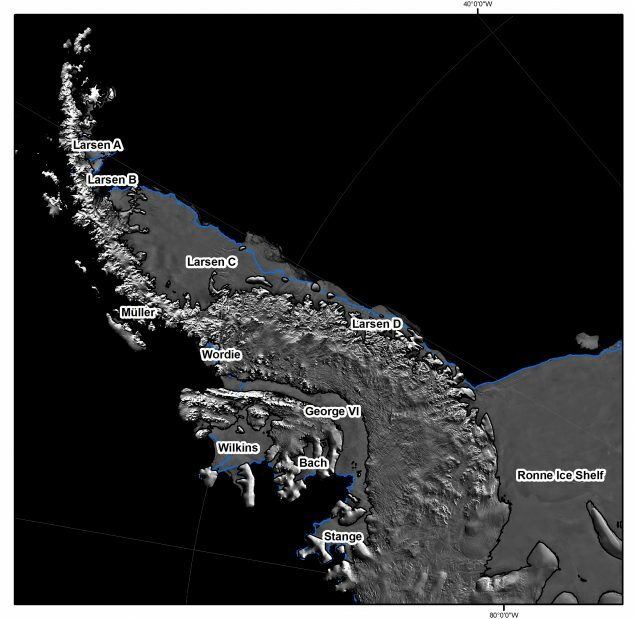 Named in series, the Larsen A, B and C shelves extended along the northeastern edge of the West Antarctic Peninsula, and covered a large swath of coastline as recently as 20 years ago. Bordering the western edge of the Weddell Sea, each extended from a separate embayment yet merged into a large expanse of ice, considered one ice shelf complex. All this was before 1995, before the dominoes began to collapse. It was January 1995, toward the end of the austral summer, when Larsen A, the smallest of the three shelves, broke apart rather suddenly and was gone. The furthest north of the Larsen trio, this small shelf was situated just north of the Larsen B and just outside of the Antarctic Circle. Due to its size and location, the 1,500-square-kilometer block of ice was the most vulnerable of the three Larsen shelves. Warming water that had been moving around the peninsula was the probable cause for the demise. When Larsen A disappeared, Larsen B immediately became more vulnerable. Although twice the size at 3,250 square kilometers, the shelf was now un-buffered from warming ocean waters to the north; this combined with several warm summers and Larsen B weakened and became destabilized. In 1998, satellites captured evidence of the front edge of Larsen B beginning to change. Satellite images pointed out melt water ponds on the surface of the shelf, but with some 220 meters of ice thickness, these ponds did not seem to pose a threat. Then between early February and early March 2002, the shelf suffered a massive collapse, with section after section all but evaporating before our eyes. There was disbelief among the science community that a section of shelf this size, and one that had been relatively stable for an estimated 10,000-12,000 years, could so swiftly suffer a collapse. The second domino had fallen. With the loss of a significant section of the Larsen shelf complex, there was a subsequent acceleration of the glaciers that had once been braced by the shelves’ protective presence. 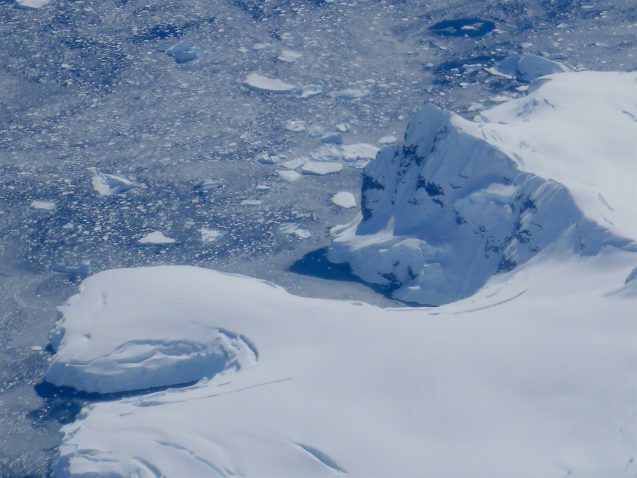 Without the stable pressure pushing back against these glaciers, the ice sheet in this area accelerated by up to 300 percent, transferring ice from the Antarctic continent into the ocean and contributing more ice to sea level rise. With the acceleration came a rapid loss in size in the glaciers feeding the Larsen area. 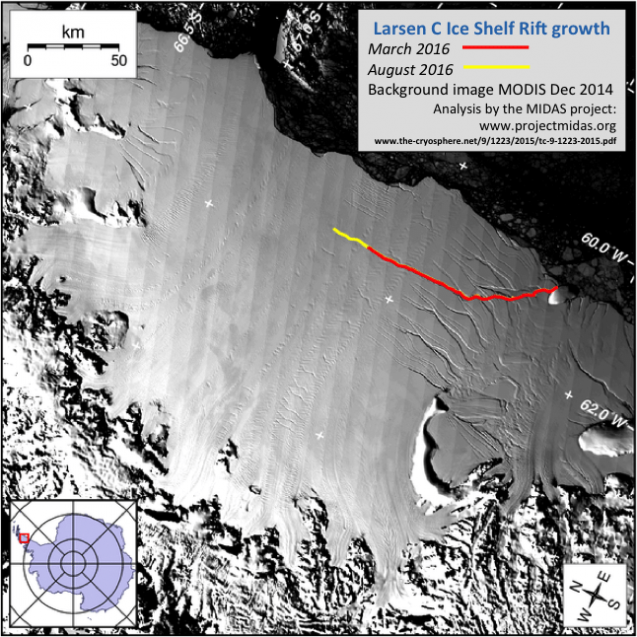 Larsen C remains the fourth largest of the ice shelves by a few hundred square kilometers of ice. A crack appeared in the shelf in 2011 and has grown in size over the subsequent years. Set back about 20 kms. from the edge of the shelf, it threatens to break off about 8 percent of the shelf, or a chunk of ice about the same size as the state of Delaware, at ~6,000 sq. km. With the crack set so far back, there is concern that it might threaten the integrity of the larger ice sheet, weakening the support that holds the shelf in place. 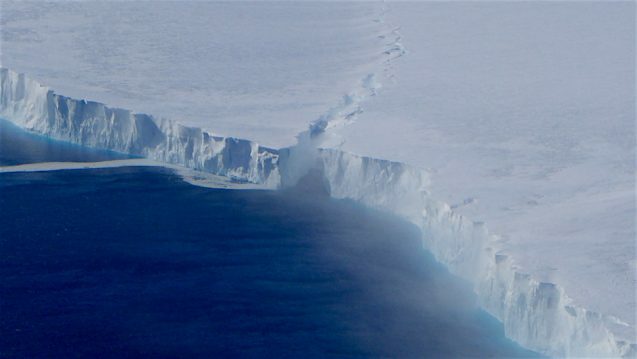 Just as Larsen B revealed the speed with which an ice shelf can collapse, Larsen C may be poised to reveal how quickly a large crack can propagate along the shelf. The rift is growing even during the Antarctic winter, adding an additional 22 kms. to a length of 130 kms. in total during the last austral winter between March and August 2016. In addition, the crack has widened from 200 meters to 350 meters. Overflying the crack, we were able to collect high resolution imagery that will help with tracking the fate of the third domino in the lineup. If you have studied the impacts of climate on Antarctica you have encountered Pine Island Glacier. Tucked in at an angle under the West Antarctic Peninsula handle, this seemingly innocuous glacier has been making headlines for years as one of the fastest flowing ice stream glaciers on Earth. 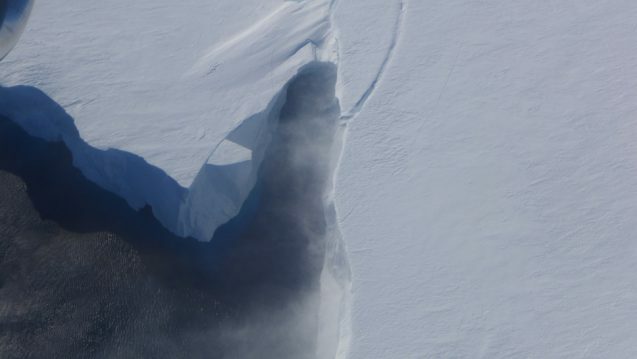 In Antarctica, Pine Island pushes ice at a rapid clip into Pine Island Bay part of the larger Amundsen Sea. So although we have never met face to face, Pine Island is a glacier I have known for years. For Pine Island the vulnerability results from a compounding of challenges, a small ice shelf offering little support to the land ice behind and little protection from the warming ocean water that makes its way up onto the shelf. In addition the base of the glacier rests on land that is backward sloping, or tipping back underneath the ice. A retrograde bed, as these are called, allows the warm ocean water access to move back under the glacier, further destabilizing and acceleration ice flow. At 160 miles of length, and 68,000 square miles of catchment, Pine Island handles the drainage for approximately one tenth of the West Antarctic Ice Sheet. 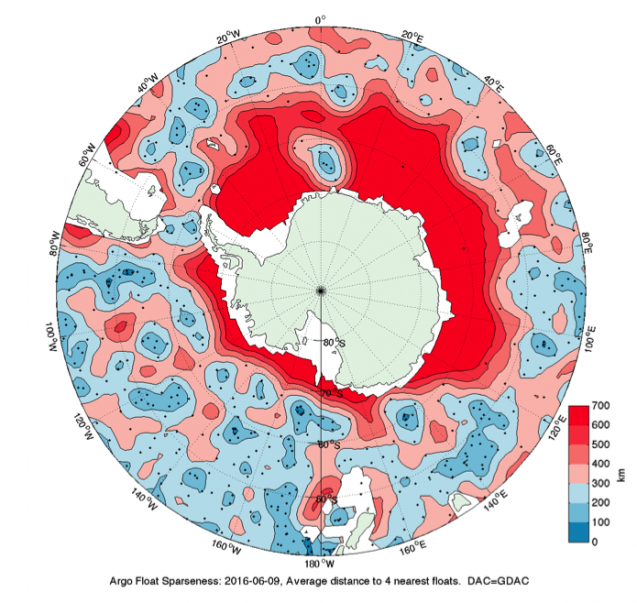 Over the last forty years it has been over-performing, accelerating its flow, and is attributed with one quarter of Antarctica’s current ice loss. 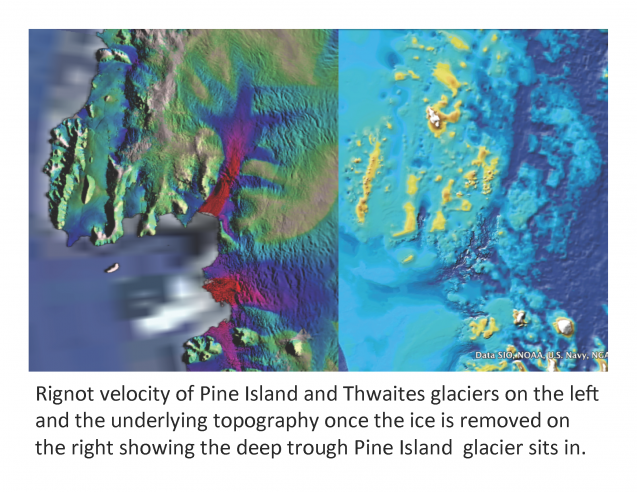 In its years of operation (2003-2010), Ice Sat I satellite provided us with a series of measurements for this glacier showing that Pine Island Glacier was moving more ice into the ocean than any other drainage basin worldwide. Since 2009 the IceBridge project has continued this monitoring, extending our data for this region so that we won’t miss critical information while IceSat II is being prepared for a 2018 launch. Pine Island glacier measurements are critically important to help us project global sea level rise. 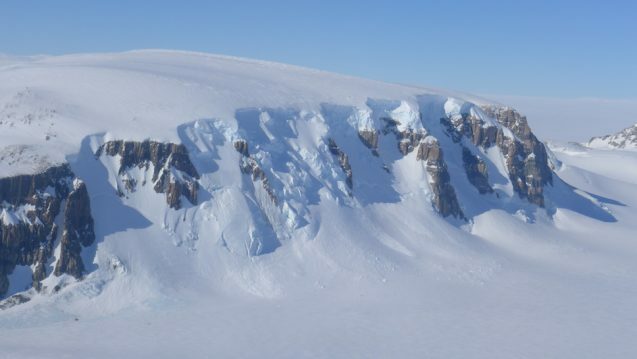 Pine Island glacier is shrinking. As the glacier has accelerated its flow, the ice stream has thinned and correspondingly the face of the glacier has lost elevation. In some areas ice elevation loss has equaled 4 meters or more a year. The drop in elevation is more quadruple the annual precipitation for the area, and has occurred in both summer and winter. More bad news may be ahead for Pine Island. 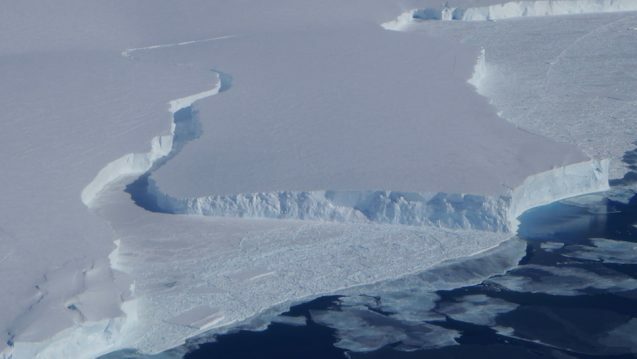 Although the glacier does not have a large ice shelf, there is a relatively small shelf that helps to restrain some of the flow from land to ocean. 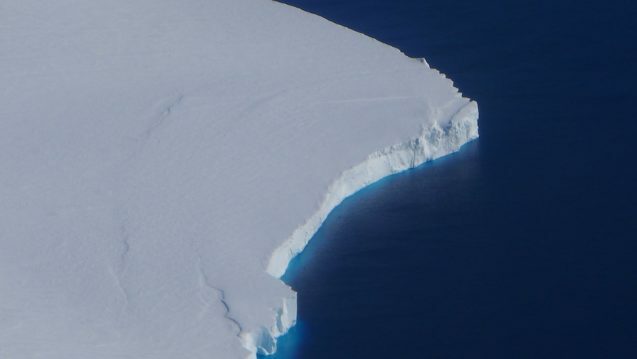 However, in the last decade a fairly significant crack has developed in the shelf threatening to pull off another large chunk of ice and relaxing the hold the shelf has on the ice behind. 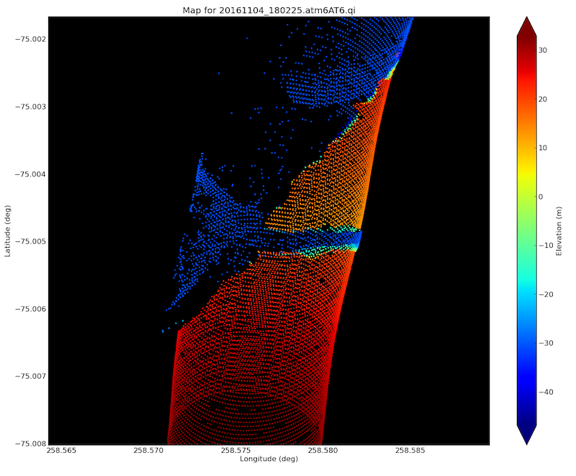 As we overflew two locations IceBridge surface laser measurements captured the crack depth at 60 and 70 meters deep. 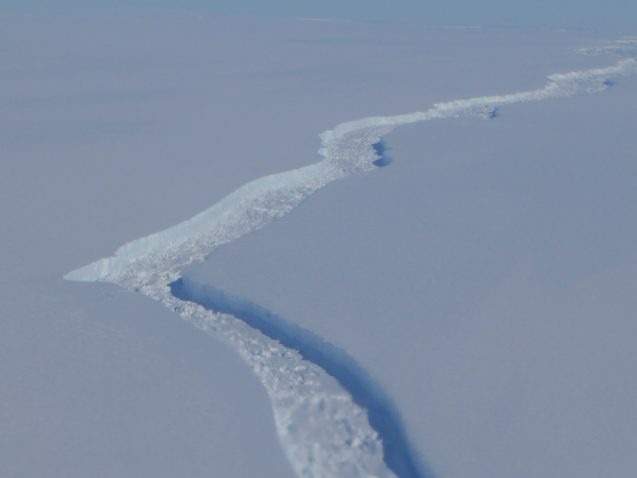 This crack has continued to expand over the last few years and it is only a matter of time before this section of shelf will separate moving off into the ocean and leaving the ice shelf more exposed. Antarctic ice appears in a range of types and sizes, from the newly formed skim of ice on the ocean called grease ice (above), to the older meter thick layers of sea ice, to chunks of icebergs, floating reaches of ice shelves, and finally the massive land based Antarctic ice sheet. Each part of this ice inventory has a unique role in the larger climate system, but they also work together. 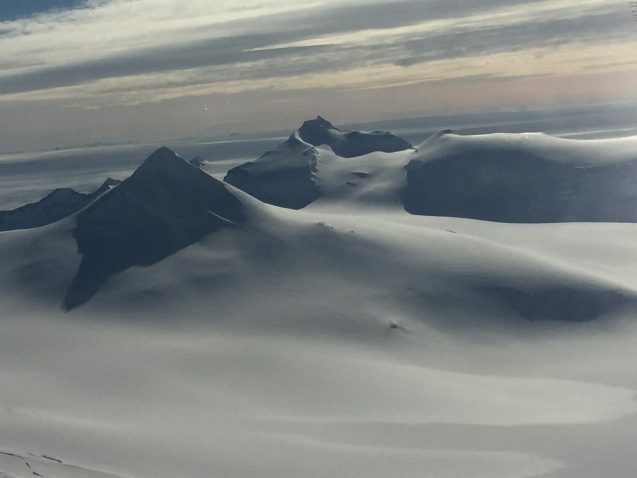 As part of this year’s IceBridge Antarctic flight campaign, we are focused largely on the coastline to build a better understanding of the interaction of these different pieces in the ice system. This understanding is central to improving our climate models. The focus today is on Getz ice shelf. Ice shelves form when ice flows off the land into the surrounding ocean, forming a thick apron of attached, but floating ice. The Getz shelf extends out several miles from where the glacier empties into the ocean. The shelves are deep floating blocks of ice ~ a km thick where they first meet the ocean and thinned to several hundred meters thick at their front edge. They are critical for the future stability of the Antarctic ice sheet as they provide a barrier that holds back the continental ice sheet, braking its flow from land into the ocean. 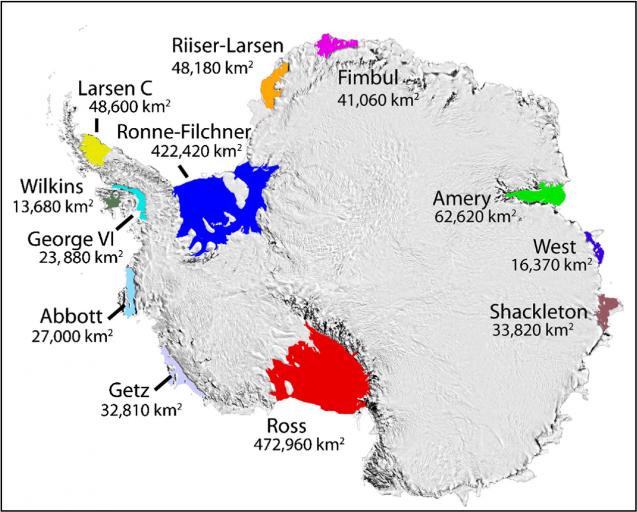 In all ~ 45 ice shelves adorn almost half the Antarctica coastline, and represent an area of ~1.5 million km², close to 10 percent of the total ice that covers Antarctica. Ten of these are considered major shelves, with the largest two nestled in the junctures where East and West Antarctic meet, filling in the space with California-sized blocks of ice: the Ross Ice Shelf (at 472,960 km²), where Lamont-Doherty currently has another Antarctic research project called Rosetta running, and the Filchner-Ronne (422,420 km²) across from it. Many of the shelves are smaller, yet each serves a valuable role in Antarctic ice stability, and thus they are a prime focus for examining change in Antarctica. Changes in Antarctic ice have been dominated by the interaction of the ice and the ocean, and because ice shelves extend out into the water, they are vulnerable to melt from the warmer ocean water. Melt can affect them in two ways, through thinning along their length and through causing a retreat of the “grounding line.” The grounding line is the critical spot where the ice goes from being frozen all the way to the ocean floor (or bed) to where it begins to float in the ocean. The grounding line retreat results from warm water melting the ice back from its frozen base. Tracking any changes to the location of the grounding line tells us a lot about the vulnerability of the ice shelf and is critical to setting models. 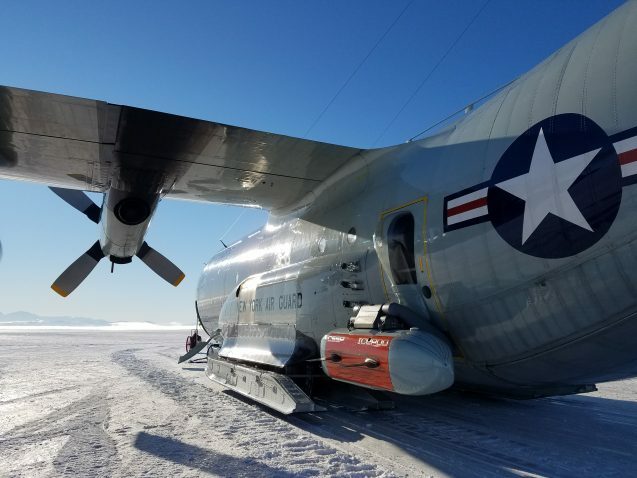 Getz ice shelf is our furthest flight mission of the campaign at close to 12 hours of flying, and it is our fifth mission this week, with each one clocking 11 plus hours of flight with prep and wrap-up added on either end. It could feel a bit like a rerun of the same movie, but it never does, and the wear of the long days doesn’t appear to show on the team. The purpose of today is to continue mapping the sub ice-shelf bathymetry using our gravimeter, as well as the ice surface and bedrock upstream of the grounding line using laser and radar. We need a complete look at the grounding line and the bed under the ice shelf, where warm ocean water can move in and circulate under the ice, in order to improve our models. Gravity is critical for uncovering the surface depths and contours under the ice shelves, as none of the other instruments on board are able to collect data through the water that lies under the shelf. Because of the distance to Getz from our daily starting point in Chile, we have been building a set of data over a series of years, line by line. Each year we collect a repeat track and a new track. We know Getz has changed. Eighteen months ago in March 2015, a NASA image from space captured a Manhattan-sized iceberg (17 miles long) breaking off of Getz Ice Shelf. This break appears to have occurred at the end of the last austral summer in late February. Today we can see large sections of ice that will soon be calving, but what this means will need to be matched to the other measurements we are collecting before we know the full set of changes in Getz. 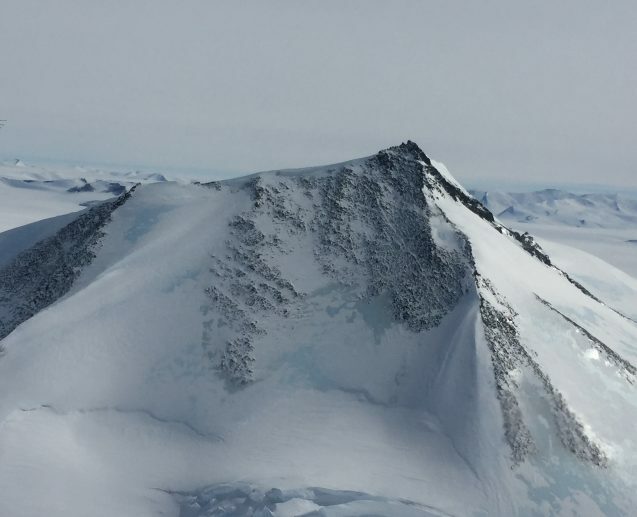 IceBridge: Since 2009, the NASA IceBridge project has brought together science teams to monitor and measure each of the ice features in order to improve our understanding of changes in the climate system and our models. Lamont-Doherty, under lead scientists Jim Cochran and Kirsty Tinto, has led up the gravity and magnetics measurements for these campaigns. This season alone, the project has logged 195 hours of flight time to date, and flown an equivalent of a third of the way to the moon. You can read about earlier IceBridge expeditions to Antarctica and Greenland on State of the Planet, here and here.